Our Financial Planners have all achieved, or are working towards, higher level qualifications than the mandatory Diploma level. Some of them specialise in certain areas such as tax planning, pension scheme transfers or later life planning. Not only that, they have many years’ experience and deal with different scenarios every day. Where client situations are unusual or problematic they work as a team sharing that knowledge. Roger started with FMB in 2007. He holds the Advanced Diploma in Financial Planning and has also been awarded the prestigious status of Chartered Financial Planner as well as Certified Financial Planner by the Chartered Institute for Securities & Investment. In addition to this, Roger is also a Chartered Wealth Manager and is our resident Pension Transfer specialist. 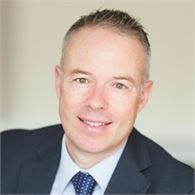 Roger was appointed Director of Financial Planning in 2018 and manages our team of Financial Planners alongside Liz Beavis. Outside of work, Roger enjoys spending quality time with the family, playing golf and cooking for family and friends. 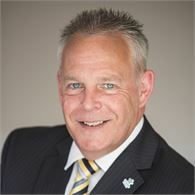 Andrew has over 35 years experience in the Financial Services Industry and holds the full Financial Planning Certificate and an additional qualification in mortgages. Andrew joined FMB in 2002 after many years with The Prudential. Andrew specialises in Investment and Inheritance Tax Planning and has a wide range of clients including Trusts, business and private clients. Andrew particularly enjoys being able to sit with a client, listen to their concerns regarding financial planning and be able to help them. Outside of work, Andrew loves being a husband, dad, grandad, golfer, gardener, kite flyer, lover of fun, sun, travel, food and drink. Special Skill Skiing and running - Natalie has just completed her first marathon! Natalie is one of the latest additions to the FMB team, joining us in October 2018. 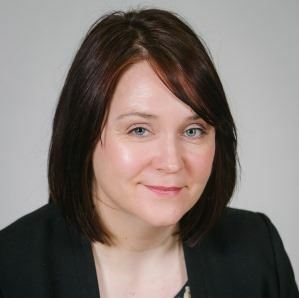 Natalie has over 20 years’ experience in the Financial Services industry, both in retail banking and also as an Independent Financial Adviser. She is currently studying for Award in Long Term Care and hopes to have achieved Chartered Status in the not too distant future. Natalie says, "I enjoy meeting all sorts of people through my job, everyone is unique and each situation requires a different solution. I find it so rewarding being able to help clients achieve their goals and ensuring their financial future is protected." Outside of the office, Natalie enjoys spending quality time with her family. At the weekend, you can usually find her on the sidelines supporting her two boys at their football match or out walking their dog, Bertie, in The Lakes. She also enjoys escaping to the gym whenever she gets the chance. After relocating from Lincoln, Dan joined the FMB team in April 2016 and now lives in Kendal with his fiancée and daughter. He holds the full Diploma in Financial Planning and is currently working towards Certified status with the Chartered Institute for Securities & Investment. Dan values being able to help direct clients on their financial planning journey and enabling them to fulfil their life goals and ambitions. Outside of work, Dan enjoys spending time at home with the family. He is also a lover of the outdoors and tries to fit in some fell-walking around The Lakes whenever he can. David is one of the latest additions to the FMB team, joining us in January 2017 following an 11 year career with a large National Wealth Management company. He has almost 25 years experience in the Financial Services Industry and holds the full Financial Planning Certificate. David has vast experience of looking after clients' investment and estate planning needs. He particularly enjoys developing a long-lasting relationship with his clients through regular meetings as well as reviewing their plans to ensure they are on track to fulfil their future goals and ambitions. David likes to keep busy in his spare time either biking with friends or competing for his local snooker or bowls team. Jon has been part of the FMB team since 2011. In 2017, he was awarded the prestigious status of Certified Financial Planner by the Chartered Institute for Securities & Investment. 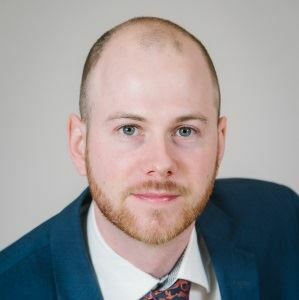 He is currently working towards Chartered Status with the CII as well, having previously gained the advanced qualification in Investments and further qualifications in Long Term Care, Mortgages and Equity Release. Jon is our resident specialist in Lifetime Mortgages/Equity Release. Jon particularly enjoys being able to offer clients reassurance and support with their finances and develop a relationship with them. Outside of work, Jon has a big passion for rugby and has played, captained and coached for Kendal Rugby Club for nearly 30 years. Jon is now a Trustee for the club and continues to be an avid supporter. He also took up crown green bowls a few years ago and says that "anyone who has never tried this simple but ‘placid’ game, the competitiveness experienced is as strong as any rugby encounter." Liz began her career at FMB in July 1999. Starting out as a Marketing Assistant she worked her way through the company to become appointed firstly as Director of Marketing and then Managing Director in 2008, as well as being a fully qualified adviser. Before FMB she worked at the Chamber of Commerce Training Division in Lancaster, promoting their services to the wider community. As the daughter of one of the two founders, Leslie Beavis, FMB has always been an important part of her life as the business has grown from a desk in the family living room to occupying the prominent Shenstone House on the outskirts of Kendal, with over 25 employees. Liz feels that what we do can be an incredibly positive experience for clients and that is what makes it all worthwhile. Outside of work, Liz enjoys spending quality time with family and friends which often includes some fell walking in The Lakes. She has also recently joined a choir which she is finding lots of fun! Jon has over 25 years’ experience in the Financial Services Industry, having previously worked for RBS, HSBC and Santander. Jon has recently become a Fellow of the Personal Finance Society and is a Chartered Financial Planner. Jon has many years’ experience of dealing with a broad cross-section of clients including both private and business customers. He enjoys getting to know his clients and being able to put across sometimes complex financial planning considerations in a way that’s simple for his clients to understand. Outside of work, Jon enjoys playing snooker league and bowling leagues on the Fylde coast. He says, "I’ll never be a professional but I have won the odd trophy". Jon has recently welcomed a new addition to the family, Finley the Labrador, and he is looking forward to getting out on more walks on the Fylde coast and in The Lakes. Special Skill Researching the family history – nobody famous, or infamous, so far! 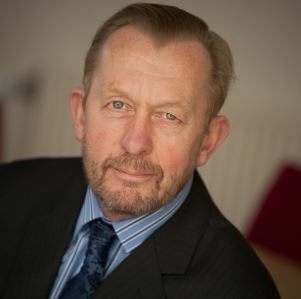 Philip started his career in financial services with Countrywide Assured plc, Preston after a 30-year career with Lancashire Constabulary. 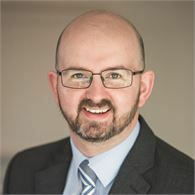 He holds the Diploma in Financial Planning, Certificate in Mortgage Advice and Practice and has recently been awarded the prestigious status of Certified Financial Planner by the Chartered Institute for Securities & Investment. He also holds the qualification in Long Term Care Planning. 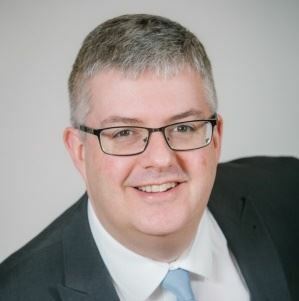 Philip joined FMB in 2011 as a Financial Planner and particularly enjoys being able to meet people from all walks of life and work with them to reach their goals. He feels this makes a positive difference to peoples’ lives. In his spare time, Philip is a keen gardener and takes pride in his allotment which is where he can be found most weekends. Our relationship Managers in some cases are qualified enough to give advice themselves and some of them aspire to work directly with clients in the future. However, many prefer a more technical supporting role. We have very consistent processes for each part of our service and the Relationship Managers are committed to making it the very best service it can be, building financial plans and putting them into action. They will always be on hand to help you, each one supporting a specific Financial Planner. 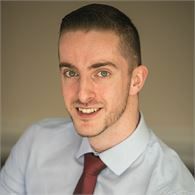 Richard has worked within the Financial Services sector for over 5 years and holds the Diploma in Regulated Financial Planning as well as qualifications in Mortgages and Equity Release. Richard thoroughly enjoys the technical aspects of his role, is committed to continuous development and is currently working towards reaching Chartered status. Richard is our resident Yorkshireman and relocated to Preston where he obtained a Bachelor’s Degree in Criminology and Criminal Justice. He is a keen football fan and season ticket holder at Huddersfield Town. 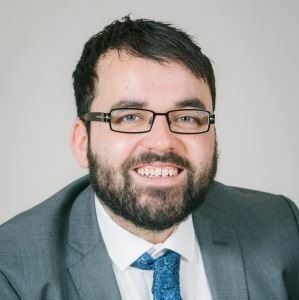 Ali has over 14 years experience in the financial services industry; previously working as a Paraplanner at InvestAcc before joining the FMB team in June 2017. Ali has completed a number of industry exams and has begun work on the FMB training route to becoming a Financial Planner in the near future. Outside of work, Ali has a passion for music and enjoys walking in The Lakes. Favourite Book The only books I get around to reading these days are the R0 revision books! Special Skill Patrick is our resident IT fixer and is constantly in demand helping colleagues. Patrick joined the firm in 2014 having come from a strong background in customer service. He has passed several industry recognised qualifications and continues to develop his skills and knowledge through further examinations. This dedication and commitment has allowed Patrick to progress to the role of Relationship Manager, gaining ground on his goal of becoming a Financial Planner. In his spare time, Patrick enjoys conquering new peaks with his dogs, Kira and Cleo. He also enjoys spending time with family and friends. 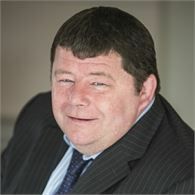 Richard has worked in financial services for over 16 years. In that time, he has covered a wide variety of roles in investment management, life assurance, SIPP provision and investment banking. Originally from Dorset, Richard worked in Bournemouth, Salisbury and London before relocating with his family to Cumbria, returning to the village where his wife had lived previously. Richard spent five years working as a Relationship Manager at JP Morgan providing support for corporate clients holding derivatives. He is passionate about providing excellent customer service and enjoys working with the team at FMB to help you to realise your financial goals. Outside of work, Richard is a keen artist and has had several paintings displayed at various art exhibitions in Cornwall. Special Skill Phoebe is our resident Netflix expert! Before joining FMB in April 2016, Phoebe worked at Nationwide Building Society as a Customer Representative. Prior to that, she spent two years in London as an Account Manager for a Marketing firm. Phoebe enjoys working closely with clients and is looking forward to furthering her knowledge in the Financial Services Industry. Outside of work, Phoebe loves to travel and is enjoying ticking some places off her "bucket list". She also enjoys spending time with friends and family. Diane has gained a wealth of experience in the financial services industry over the last 20 years (on and off), working in various administrative and advisory roles. Having recently relocated to the UK from Saudi Arabia following a five year stint working with horses, Diane joined the FMB team in April 2018. Diane finds the technical aspects of her role fascinating and enjoys supporting her Financial Planner in the client's financial planning journey. Outside of work, Diane is usually enjoying the outdoors and loves horse riding, hiking and camping in The Lakes and Scotland. Sarah has worked in Financial Services since she left Kirkbie Kendal School. She joined FMB as an Office Junior in 2007 after working for another smaller IFA. She was enrolled as a Client Services Assistant shortly after and went on to become Client Services Supervisor in 2009. 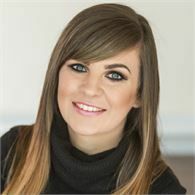 Sarah was appointed Client Services Manager in September 2014 and now manages the Client Services Team which comprises of several Client Services Assistants. Sarah works closely with the firm's Financial Planners and ensures that the work they generate is processed to our high standards by the members of the Client Services team. She also liaises with the Management to ensure smooth day to day running of the office. Sarah has gained several qualifications whilst working at FMB and looks to continue with further management exams in the future. Outside of the office, Sarah enjoys spending quality time with her daughter, Iris and two dogs, Woody and Willow. Christine worked in Appleby when FMB had an office there in 1990. When the Appleby office closed she moved to the Endmoor premises and has been with us ever since. Christine has taken a couple of financial exams to help her in her admin role and is one of our longest standing and most experienced members of the Client Services team. She has worked in several departments during her many years here and has a wealth of knowledge about the Financial Services Industry. Outside of work, Chris enjoys spending as much time with her grandchildren as possible. She also loves to get stuck into a good book or cooking for family and friends. Ali was effectively born into the company being the grandson of FMB's founder, the late Les Beavis and the son of M.D Liz Beavis. 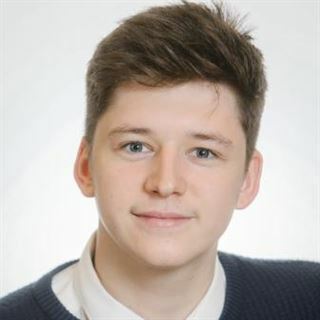 After completing his A-Levels in summer 2016, Ali assisted us with a mammoth scanning project and went on to officially join the team in January 2017. Ali enjoys working as part of the Client Services Team; supporting the financial planners with their administration duties and is happy to be contributing to the family business. Outside of the office, Ali likes to attend various music events and festivals with friends. 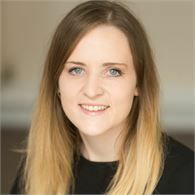 Olivia has over 13 years’ experience in Financial Services, previously working at AJ Bell in Manchester before joining the FMB team in November 2017. She enjoys working as part of the Client Services team and will be looking to broaden her industry knowledge further by studying for some professional qualifications in the near future. Olivia fulfilled her dream of relocating to Cumbria in September 2016 and set up a smallholding with her family shortly after. Although caring for her animals and general jobs around the farm take up most of her spare time, she does try and cram in some walks around The Lakes whenever she gets chance. 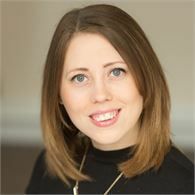 Steph has a wealth of administration and organisational experience which she has gained throughout her customer service focussed careers within the travel industry and latterly, the NHS. Steph enjoys being part of the Client Services team and putting her skills to good use. Outside of the office, Steph is kept busy working on the family run caravan park. She is also a keen salsa dancer and enjoys practicing in whatever spare time she has. 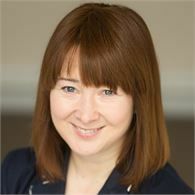 Before joining FMB in 2002, Sarah worked at Scottish Provident in the Compliance department in both Kendal and Edinburgh. Sarah has spent most of her time with FMB working in a compliance role but also as a valuable assistant to director, Gill Forrester. Sarah internally audits the work undertaken by the many Financial Planners in the company to make sure our rigorous sales and investment process is followed correctly as well as assisting with formulating policies to ensure our practice is as current as possible. In 2015, Sarah extended her role to encompass that of Research Manager and now also carries out research and due diligence on new products and providers. Outside of work, Sarah enjoys hiking, spending time with friends and family, good food and wine… and sometimes all three combined! Favourite Book I don’t have a favourite, however, I'm really enjoying some funny David Walliams books I'm reading with my children! 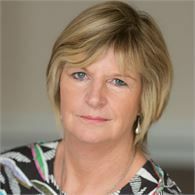 Sue joined the FMB team in 2002 after previously working for Scottish Provident at their offices in Kendal. She has gained a wealth of experience and knowledge within the Client Services Team as both a Client Services Assistant and Supervisor. 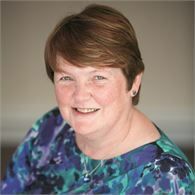 Sue was appointed Compliance Assistant in June 2015, which mainly involves assisting our Research & Compliance Manager with auditing the work undertaken by the many Financial Planners in the company. Outside of work, Sue enjoys spending quality time with her family and socialising with friends. Gill started her career in finance at the age of 17 when she joined Nationwide Building Society as a clerk/cashier. She carried out many roles before being appointed Customer Service Manager in one of their largest branches. She left the Society after 17 years when her first child was born. A number of part-time jobs, including nursery assistant and parish clerk filled the next ten years while the family was growing until she came to FMB in December 2014 to join the reception team. Gill was promoted to Business Operations Assistant in November 2017 and now assists our Accounts and Management teams to help ensure the smooth running of the business in any way she can. Outside of work, Gill enjoys visiting the theatre and spending quality time with her family. Kate has worked in an accounts role for various local firms since she left school and has always loved numbers. 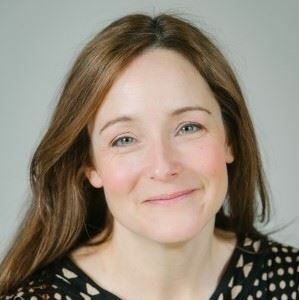 Kate set up her own practice in Kendal last year, Kate King Accountancy Services (KKAS) on Wildman Street, and enjoys working with a wide range of businesses. Outside of work, Kate enjoys spending time with her two sons and loves to visit Bigland Hall where she is currently training in classical dressage. Favourite Film Love Actually – it always make me smile! Prior to working at FMB, Val worked for the Midland Bank (now HSBC) for 10 years. Following a break to bring up her family Val joined FMB in 1997. Her first role was that of filing clerk, but after amassing years of industry experience in the admin team she took over in 2006 as Commissions Technician. Val has the difficult and complex job of managing the payments that come in and matching them up to the thousands of policies we manage. This requires specialist knowledge of our IT systems and a historical overview of how the companies we deal with have merged and evolved over the years! Val has recently become a Nanna and so is enjoying spending most of her spare time looking after her granddaughter. She also likes getting out on walks around The Lakes with their Jack Russell Terrier. Rebecca started at FMB in 2007 as an Office Junior, shortly after completing her A-Levels. She was enrolled as a Client Services Assistant in 2008 before being appointed Assistant to Directors in 2011. 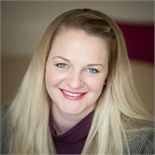 Rebecca’s role has become more marketing focused over the years and so her title was renamed Marketing Co-ordinator in 2015. She takes a particular interest in copywriting for the company website and marketing materials as well as planning and organising company events. Outside of the office, Rebecca loves spending quality time with her fiancé and their one year old son; either enjoying a fun family day out or a holiday/break away (albeit they're not as relaxing as she once remembers!). She is also enjoying making plans for their wedding which is fast approaching. Linda was the wife of our founder, the late Les Beavis, and remains at the heart of FMB which is still essentially a family business. 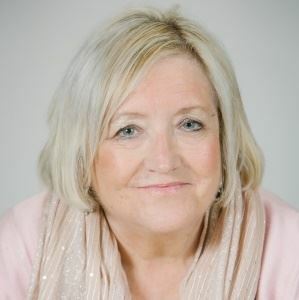 Linda has been with the company since the first seeds were sown in the 1980’s, she has seen all the changes and stages the business has been through but remains a constant feature of FMB, welcoming clients on reception in person and on the telephone. Having visited The Lake District ever since she was three, Karen fulfilled her dream of relocating here from Formby in summer 2017 and went on to join the FMB team in April 2018. Karen enjoys being the first point of contact for clients and colleagues alike and building ongoing relationships. 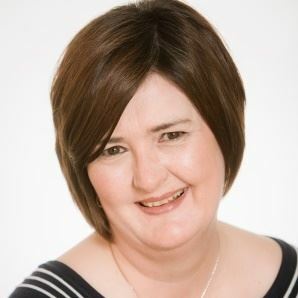 She has gained a wealth of administrative and secretarial experience over the years from previous positions including Management Secretary at Eagle Star Insurance, Receptionist/Medical Secretary at a GP Surgery and PA to CEO at a Liverpool based Business Networking company, to name a few. 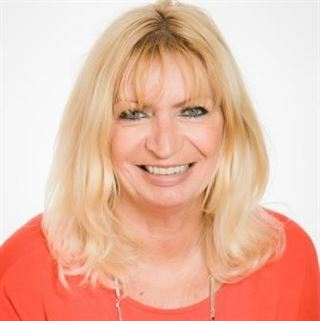 Karen enjoys utilising her organisational and communication skills and putting her experience to good use. Despite being one of the newest additions to the team, Karen already feels "like part of a big family" and says that she "loves the FMB work ethic". Gill’s background has predominantly been working with money and finance. Her first job after College was at the Skipton Building Society, and following PA roles at K Shoes and Express Foods, Gill moved to FMB in a part time role in 1990 after the birth of her son. 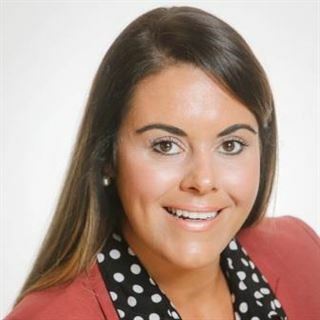 She has progressed through the company and has undertaken a number of key roles before becoming Office Manager in 2003 and then appointed a Director in 2006. 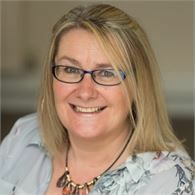 Gill has gained industry qualifications over the years, including the advanced CII qualifications, H15, which focuses on supervision and sales management which has assisted her in her other role as the Company’s Compliance Officer. This is a role Gill loves, and takes great satisfaction in running a “tight ship”. Gill has continued her studies and has recently passed the CII R03 Personal Taxation exam. Gill also enjoys the personnel side of the company, and loves to see young new recruits gain confidence, experience and qualifications and see them promoted into more senior roles. Gill believes that investing in people is vital to retain good quality staff and get the best out of them. Outside of work, Gill has taken up golf and loves to travel. She has a “bucket list” of places that her and her husband would love to visit and is slowly crossing them off over the years. She also enjoys gardening and loves to walk their Westie, Buddy in the countryside near their home when they have spare time. Daughter of founder Leslie Beavis, Ruth joined FMB in 2007. She enjoyed a successful career in Education including management roles in Primary Schools in Cumbria, London and Leeds, before moving back to start a family and join the company. 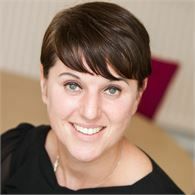 Ruth's main role is communicating with clients, local business and professional connections about what we do at FMB. Her highlight of the year is our Company Conference when we celebrate our achievements, “it gives us a chance to get to know each other better and develop our team skills”. Outside of the office, Ruth likes to keep active and spends time running on the local trails and footpaths and keeping flexible with Pilates. She is also a Trustee of Sandgate Hydrotherapy Pool in Kendal, following FMB’s involvement fundraising for them.